I don’t travel all that much, but when I do one of the biggest pains is schlepping all of my gear the 20 miles through the airport. Inevitably I am running through the airport trying to make my flight, making pulling the bags even less fun. A company from England has announced the world’s first power assisted luggage that aims to make the trek through the airport and to the hotel easier by making the luggage pull itself. The bag uses a pancake wheel technology and an Anti-Gravity handle to put a major portion of the bags weight over the wheels. Anyone who has ridden a motorcycle knows that the person on the back can feel uncomfortable when you are in motion because sport bikes typically have no handles for the rear passenger to grab. When riding with your girlfriend its cool for her to wrap her arms around your waist, but other times waist holding isn’t so cool. When your boys want to go for a ride and you don’t trust them with your bike alone, it’s not so cool to have them hugging you. A guy from Belgium has come up with a solution called the Tankgrip. The designer says the prototype took 4 months to build and ended up looking like a telephone handle on the tank of the bike. 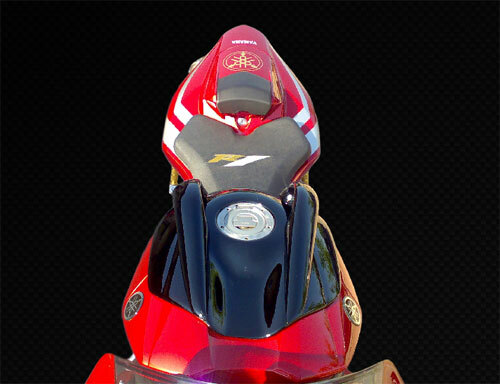 In the end he came up with a pair of handles that attach to the tank of a sport bike with a streamlined shape. Kensington seems to have been storing up on new product releases for notebook computers. The computer accessories maker yesterday unveiled some 24 new products across several notebook accessory related categories. Highlights of this new product line up include a device for sharing USB devices between computers, wireless mice, notebook locks, column mount monitor arms and cases. We’ve provided more details on these new Kensington offerings via its press release after the jump. For many business people, time on the road is long and grueling. Road warriors try and carry all they will need with them to make presentations and speaking engagements easier from mice that turn into pointers to the newest and most powerful ultra portable notebooks around. Giving a lecture to lots of people can be a harrowing experience; made all the worse if the PA system is lacking or missing all together. That is where Anchor Audio comes in with its AN-Mini sound system. 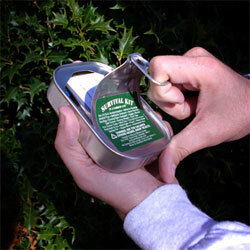 The device weighs less than 2.5 pounds so it is easy to carry with you. Despite the small size the AN-Mini can produce 109dB, which Anchor claims is plenty of sound for clear speech to a room of 100 listeners. 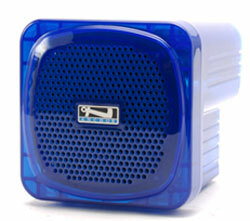 The system can be powered by normal batteries, rechargeable batteries or AC power. Rechargeable batteries can be recharged without having to remove them from the device. When parents and grandparents start to age often one of the first things to go is their vision. Vision loss keeps many elderly people from being able to use the phone because of the small numbers and buttons that can be hard to locate and press. A new device from The Vision Group addresses this problem by allowing users to dial phone numbers by pressing a button to the side of a photograph. 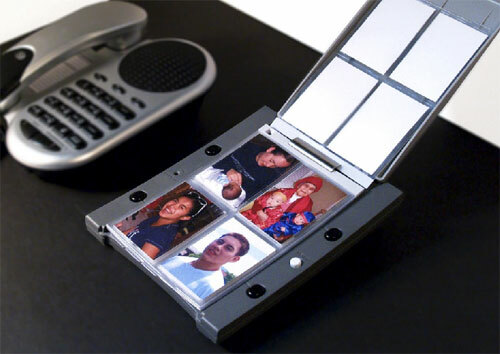 The FotoDialer has six pages that each holds four photos. The numbers that correspond to the photos are stored in the devices memory and the FotoDialer connects to any home phone. If you shoot lots of pictures at your home, the office or a friend’s house—really anywhere there is a Wi-Fi hotspot– the Eye-Fi may be the perfect SD storage card for you. The SD card has a built-in Wi-Fi connection that basically allows the SD card unlimited capacity by sending images to your PC directly over the wireless network as they are taken. Previously, Eye-Fi only had one product in its line but today it announced three products. The Eye-Fi Explore is the most expensive at $129. It automatically finds nearby Wi-Fi networks and adds geolocation tags to images taken automatically using Skyhook’s global Wi-Fi positioning system. The Explorer also allows the uploading of images from over 10,000 Wayport hotspots in the U.S. and has 2GB of storage capacity. I have never been fond of food that has eyes and can look at me as I eat it. As such I stay away from salty, fishy snacks like sardines. ThinkGeek has a new survival kit that is packed in a sardine can to provide a waterproof seal for the necessities of life should you find yourself stranded on a desert island. ThinkGeek says the can is airtight, waterproof, crushproof and packed with 25 survival items including a non-aspirin pain reliever, adhesive bandage, alcohol prep pad, antibiotic ointment, book of matches, compass, chewing gum, sugar, salt, energy nugget, duct tape, fire starter cube, first aid instructions, fish hook and line, note paper, pencil, razor blade, safety pin, reflective signal surface, tea bag, waterproof bag, whistle, and wire clip. Taking a queue from the marketing folks for Apple’s new MacBook Air, Timbuk2 has announced the Steve Sleeve. The thin case designed specifically for the notebook resembles the manila envelope that Apple uses in their commercials and that Steve Jobs used to originally present the Macbook Air. Timbuk2 assures us that when the Steve Sleeve actually starts shipping in March we’ll find that it’s much tougher than a standard manila enveloper, however. It has a soft low-pile fleece lining (from recycle-ready poly no less), an exterior made from the same stuff as mountaineering jackets, ultrasonic welds on the seems and brushed (recyclable) aluminum buttons. For those time when leaning against a pole or setting the camera on a rock just won’t do, Manfrotto has added the ModoPocket to their line of camera supports. Image stabilization technology can only go so far and sometimes it’s better to put the camera down to get some nice shots without the blur. The ModoPocket support folds completely flat to fit in a small bag compartment or pocket to make it convenient for use on the go. The little hinged stand threads into the 1/4″ tripod mount found on most cameras to keep it well attached and stands on four rubber-covered legs. The stand also lets you tilt forward or back to help get things into focus. 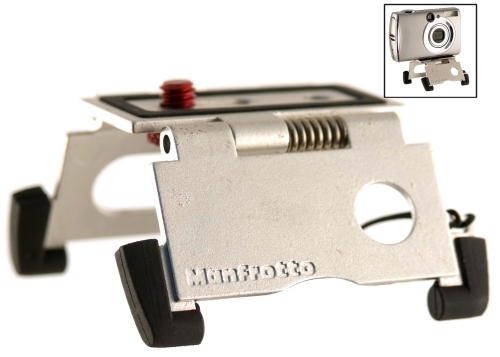 Manfrotto has the little ModoPocket camera stand retailing for $30. 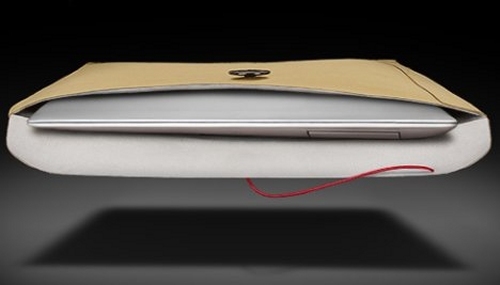 Jobs and the Apple marketing team have been using a manila envelope to show off just how thin the new MacBook Air really is, but Belkin thinks it has a little bit better carrying case for the new notebook. The new MacBook Air Sleeves come in four different designs ranging from $39.99 to $49.99 that add only slightly more bulk than the Jobs’ envelope. The sleeves are made from Neoprene and leather and include the Slim-Fit, which has no zippers or magnets, just a sleeve and a flap for $39.99. The Neoprene/Leather model does have an asymmetrical zipper for side or top loading of your MacBook and goes for $49.99. There is also a Vertical Sleeve model with a strap which is designed for use all by itself also for $29.99 along with the Expression Sleeve which also features a strap. The other Sleeves are tailored a little more to be carried inside another bag. Skooba Design has unveiled a shoulder strap for cameras and binoculars which acts as a shock absorber to minimize carrying discomfort. It’s called the Skooba Superbungee Shoulder Strap and pricing is set at around $20. RhinoSkin plans to show off at MacWorld this week three new aluminum cases to protect MacBooks from damage. 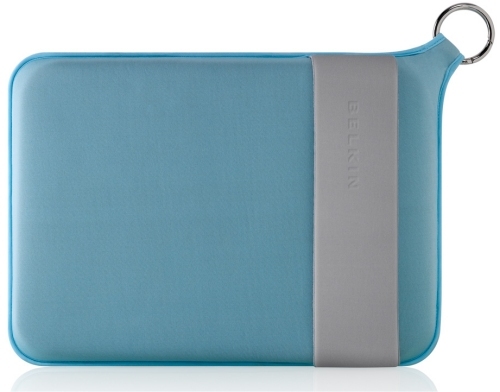 These RhinoSkin MacBook HardCases will be priced at between roughly $130 and $150. 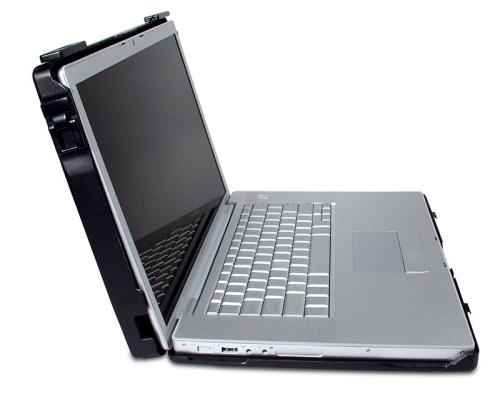 The RhinoSkin MacBook HardCases will be available to accommodate 13-, 15- and 17-inch MacBooks. 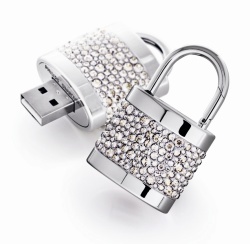 They are made from anodized aluminum and have a neoprene lining to cushion an Apple laptop. 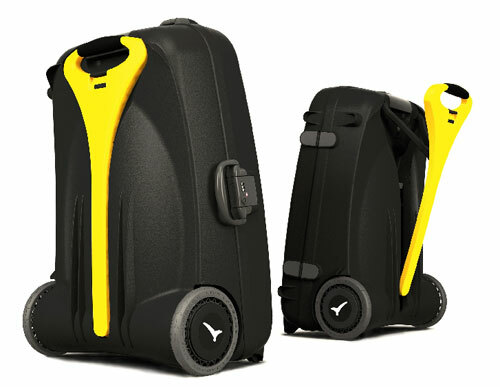 The cases are designed to fit into a backpack or carry-on. Philips and Swarovski were showing off at CES this week some new colors to their Active Crystals line up of consumer electronics accessories. You’ll find some headphones retailing for around $100 and some USB memory keys at about $180. These products are supposed to be out next month. Philips and Swarovski have in the Active Crystals Color range the USB Heart Ware Crystal Vitrail Light memory keys, the vibrant Space Violet in-ear headphones, the USB Lock Out Jet Hematite memory keys and the Space Jet Hematite in-ear headphones. You can get details on all of these after the jump. Belkin is introducing at CES a rather simple and unique solution for sharing MP3 player audio with your friends: an audio hub. 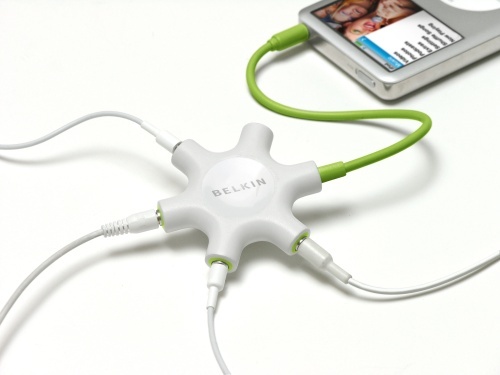 It’s called the Belkin Rockstar and retail price is being set at around $20. The Belkin Rockstar is targeted primarily towards teenagers who own an iPod and want to share their music with their friends. This circular device sprouts six arms. One arm is designed to be attached to your MP3 player, while the other five can be attached to headphones. All those listening through the attached headphones can hear the music coming from the player. You know how frustrating it can be trying to run your illegal movie copying operation out of your basement with multiple computers and only one monitor to plug and unplug from one machine to another. Network Technologies is your new best friend in this regard, announcing a new eight port USB DVI KVM switch priced at around $980. 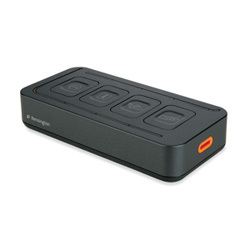 The NTI UNIMUX USB DVI KVM Switch allows you to connect and control up to eight single-link DVI enabled computers with one DVI monitor, USB keyboard and USB mouse (it’s also available in a four port model). The switch supports 1900 x 1200 resolution and features single-link HDMI connectors to save space. NTI has also enabled this device with autoboot USB switching which boots attached computers at the same time.